With only 75 days to go, the best known regatta in the world is gearing itself up for 5 days of spectacular sporting action. On 1st July thousands of spectators will make their way to Henley-on-Thames to witness more than 200 races including internationally renowned rowing stars. The Henley Royal Regatta is an event steeped in history with its origins dating back to 1839, and has grown in popularity every year. 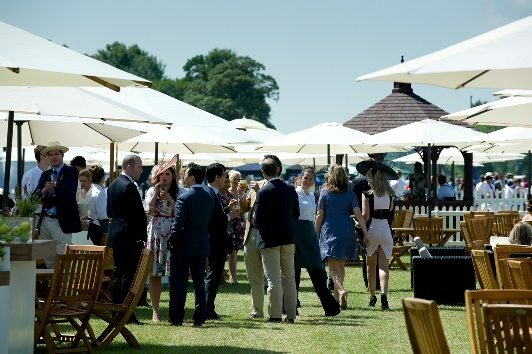 The best way to experience such a prestigious event is to take advantage of the fantastic corporate hospitality facilities available throughout the enclosures. Spectators can enjoy a memorable atmosphere within luxurious and first class facilities. Guests immerse themselves in high quality food and drinks in a fantastic summer event along the iconic waterway. It is common to see countless spectators enjoying a delicious summer Pimms or a quintessentially British traditional afternoon tea. The great thing about the Henley Royal Regatta is that there is the option to explore the Henley Regatta in your very own exclusive boat charter. What better way to experience a world renowned rowing event than on the water itself. Our stunning boats available for private charter provide an excellent full day experience with faultless hospitality on board. 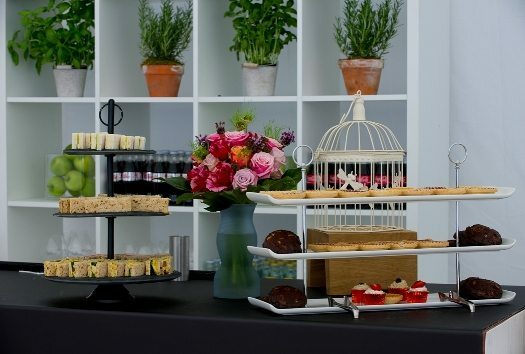 A delicious lunch can be soaked up with a complimentary bar throughout the day and coffee and pastries on arrival. The exclusive boat charter provide a great alternative with fantastic vessels maintained and furnished to the highest of standards. 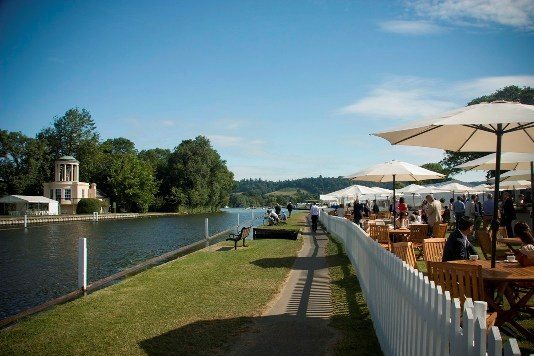 The Henley Royal Regatta is a perfect summer event offering high temperatures and glorious sunshine over the glistening water. The Regatta also offers the perfect opportunity to entertain and build relationships in the perfect environment for celebrating. Henley comes alive with the sights and sounds of the Regatta as thousands celebrate rowing in beautiful surroundings and glorious summer weather. This increasingly popular social occasion is proving to have a dominance in the events calendar with many guests commenting on the ambience created in the hospitality facilities. “What a Fantastic day Team Tactics provide. The room looked stunning, the musicians were brilliant, supporting the great atmosphere. The service throughout the day was very attentive and the food quality would put many banquet venues to shame. I take my boater off to all at Team Tactics for a wonderful experience. THANK YOU” – David Thomas. At Team Tactics we enjoy providing the very best hospitality with an emphasis on unrivalled service and a passion to deliver a faultless day of entertaining. Guests can relax with a Pimms listening to the jazz bands along the waterway and soak up the relaxed atmosphere. We guarantee that clients will have a memorable experience courtesy of our fantastic corporate hospitality packages. Please contact us or email us on [email protected] for more information. Visit our Henley Royal Regatta event page for more photos and package details.